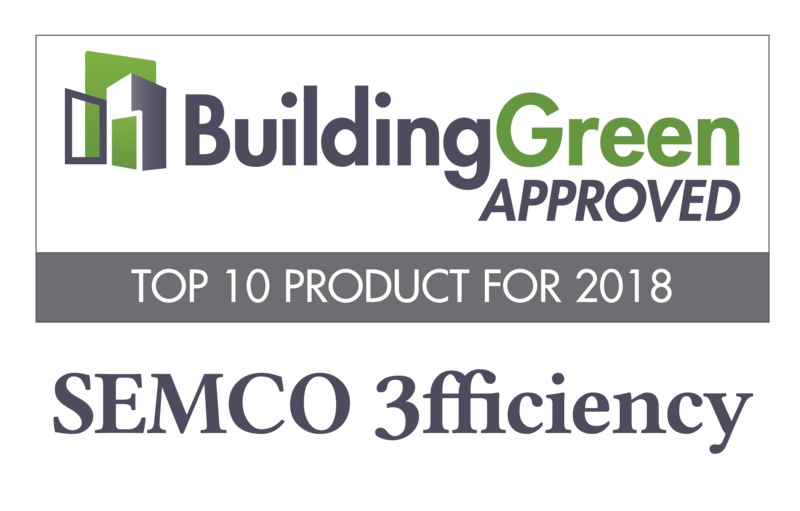 3fficiency was recognized as one of the Top 10 Green Building Products for 2018 by BuildingGreen at the annual Greenbuild Expo. BuildingGreen, an unbiased resource for sustainable building strategies, has been recognizing products that promote green design and architecture through its Top 10 Awards since 2001. The selections are announced at the Greenbuild Expo, the world’s largest conference focused on green building practices. 3fficiency is the HVAC industry’s first total indoor air quality (IAQ) system approach to chilled beam design and it surpasses the AHSRAE 90.1 energy standard by up to 30 percent. “BuildingGreen has long recognized the energy and space-saving benefits of active chilled beams, but they could be a challenge to specify due to potential problems with humidity and comfort,” Brent Ehrlich, Products and Materials specialist at BuildingGreen, said. “By combining SEMCO's active chilled beams, NEUTON control module, and Pinnacle dedicated outdoor air system into one system, SEMCO's 3fficiency system provides critical humidity control and the ability to heat and cool different zones in a package that is easier to install and commission." Working with the Pinnacle dedicated outdoor air system and active chilled beams, the award-winning chilled beam pump module, NEUTON, plays a key role in the system by managing the water system to allow for a building level occupant control that is superior to all other systems. 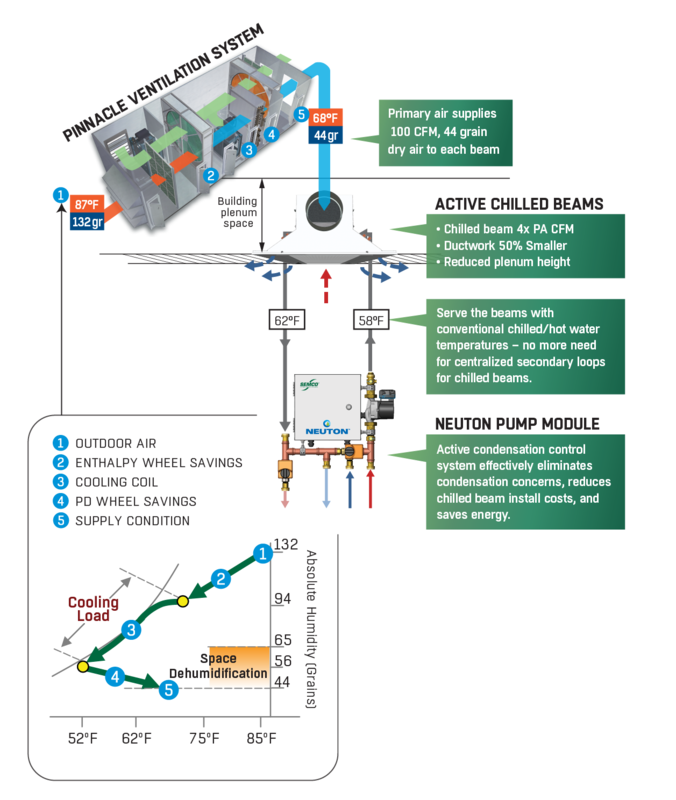 NEUTON™ chilled beam pump module- manages the water system to allow for a building level occupant control that is superior to all other systems. 3fficiency is a great alternative to Variable Refrigerant Flow (VRF) that will provide even more savings through the use of a water-to-water chiller using the condenser water as the hot water for the system. A whole building Variable WATER Flow System! Our Service Team is here to assist you. © 2017 SEMCO LLC, A FläktGroup Brand. All rights reserved. SEMCO® is a registered trademark of SEMCO, LLC, A FläktGroup Brand. All rights reserved. SEMCO™ is a trademark of SEMCO, LLC, A FläktGroup Brand. All rights reserved.